Sign-up and receive Property Email Alerts of Residential Estates in Lilyfield, Noordwyk. Lilyfield is a fully secure development comprising of 198 units in Noordwyk, Midrand, in Gauteng. Lilyfield is within close proximity to the N1 Highway and completed Gautrain Rapid Rail Link (between Johannesburg, Pretoria and OR Tambo International Airport), making this one of the most sought after locations in Midrand. Centrally located just off Olifantsfontein off-ramp in Noordwyk you have direct access to the newly upgraded Sanral N1 Highway (5 minutes by vehicle), while the N3, M55, Old Pretoria Road and other major routes are in close proximity. The Gautrain bus service stops next to this new development (10 minutes by bus to Midrand Gautrain Station) and public transport (taxis/buses) will also be very easily accessible. 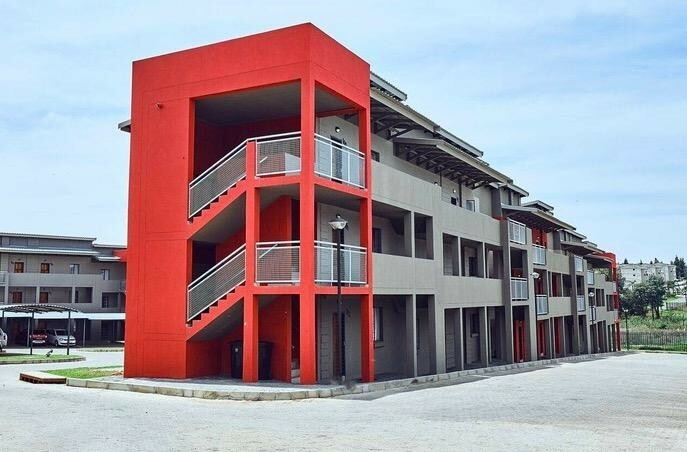 Type A Second Floor Units (44.25msq), Kitchen with granite tops, open plan lounge, 1 bedroom with 4 built-in cupboards, 1 full bathroom (basin, bath, shower & toilet) and a single carport, available for R620 000.00. Type B upper First or Second Floor Units (55.25msq), Kitchen with granite tops, open plan lounge, 2 bedrooms with 3 built-in cupboards each, 1 full bathroom (basin, bath, shower & toilet) and a single carport still available from R714 000.00 to R725 000.00 all-inclusive. 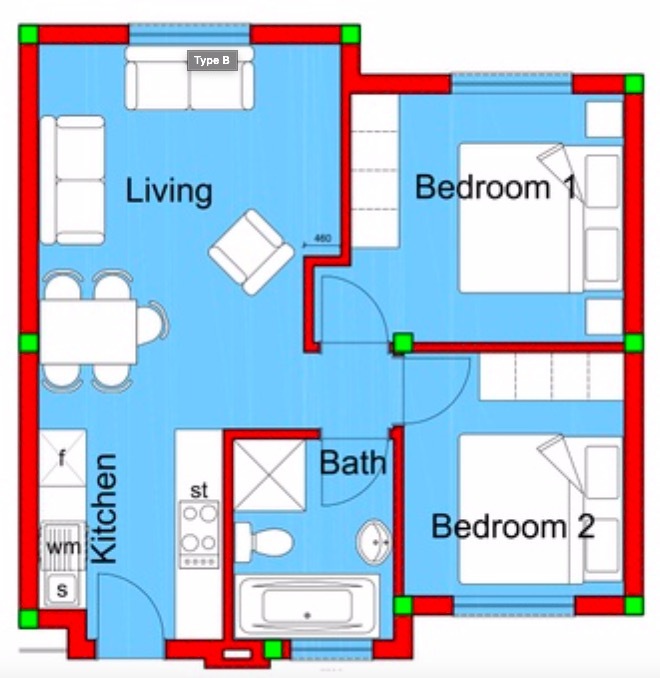 I have only 2 x 2 [Type B ground floor unit (55.25msq), Kitchen with granite tops, open plan lounge, 2 bedrooms with 3 built-in cupboards each, 1 full bathroom (basin, bath, shower & toilet) and a single carport] still available from R735 000.00 to R739 000.00 all-inclusive. Pre-paid electricity meters are provided and Gas hobs with electric ovens. Heat Pump technology is used instead of traditional geysers, using up to 70% less energy to heat water at temperatures up to 60 Degrees Celsius, freeing up power for other appliances and costing you 30% less in monthly electricity bills. All units are fully tiled and bathrooms are tiled to the ceiling. Consider an investment in Midrand property as it is in the heart of Gauteng, the financial capital of Africa, where many prospective tenants prefer to buy.